Does Zinc Deficiency Cause Hair Loss? Zinc is important in the healthy functioning of our bodies, but too much of it can create hair loss (1). Zinc helps build cells and it keeps our hormones balanced (2). It also assists with the assimilation of other vitamins, and it assists the body with assimilating protein, all of which are important for growing hair. However, zinc can also raise the level of the hormone DHT (Dihydrotestosterone) (3). DHT is considered the primary culprit for pattern baldness in both men and women. It is a chemical that is derived from testosterone. Testosterone in and of itself is not the problem; the problem is caused by the level of DHT that can bind to certain receptors in the hair follicle. DHT can cause the hair follicle to shrink, and this can lead to male (or female) pattern baldness. It can happen to both men and women, since women also have a certain amount of testosterone in their bodies. Although women have a much smaller amount of testosterone, even this small amount can cause DHT to aggravate further thinning. So for men, this is obviously an even bigger problem, since the amount of testosterone in their bodies is much higher. Even if the levels are “normal” according to a blood test, DHT can still create a hair problems. Because there is such a delicate balance between the hormones in the body, if there is a drop in the “female” hormone (estrogen), the “male” hormone (androgen), can become more dominant thereby leading to the problem of hair thinning and recession. How Does Zinc Fit Into the Picture? So, is it possible to use zinc for hair loss? Zinc does increase testosterone levels, but it can also limit the production of DHT. However, if you’re thinking of loading up on a zinc supplement, the effect will not be significant. It’s more important to keep your hormones in balance, which can also keep the level of DHT from getting too high, and larger doses of zinc taken orally can actually slow down hair growth by interfering with anagen development (4). Excess zinc can also lead to other mineral deficiencies – such as in copper, magnesium, iron, and manganese. But there’s also verifiable proof that zinc can play a role in hair growth. In one research study carried out in 2013, it was shown that zinc was the only thing to promote hair growth in a woman suffering from severe hypothyroidism (5). Hypothyroidism is a condition that’s known to contribute to hair loss. But Unfortunately, this condition has shown to be resistant to the more mainstream hair loss treatments. As demonstrated in this study, zinc supplementation helped to promote hair growth alongside thyroxine. That’s not the only link between zinc and hair loss, though. One study published in 2013 showed that the mean zinc serum levels in men with hair loss were significant lower than those in the control group (6). The study consisted of 312 patients with diagnosed hair loss disorders, including Alopecia Areata (AA), male- and female-pattern hair loss, and telogen effluvium. Of these groups, those with AA and telogen effluvium were the ones to have the lowest zinc serum levels. What you need is the right balance of zinc in your diet. If you have too little, you can lose your hair. If you have too much, you can also lose your hair. You might get by on the minimum amount of zinc in your diet without a supplement or adjusting your diet and not suffer too much further loss of hair, but zinc is also needed for more than hair growth, and if you want to noticeably increase your hair growth and your overall health, it pays to take a supplement or to consume more zinc-rich foods, or both. Although there are several different types of zinc supplements, they are not all easily absorbed by the body. Zinc sulfate is the most common, but not the most easily absorbed. The form of zinc most easily absorbed is called ZMA (which is a combination of zinc monomethionine, magnesium aspartate, and vitamin B-6). So How Much Zinc is Enough? The RDA for zinc is between eight (for women) and 11 (for men) milligrams daily (8). In many cases, the RDA for supplements are not really sufficient for optimal health, but their recommendation for zinc seems to be on the mark for the minimum requirement. Some experts recommend a dose of 15 mg daily delivered as a chelate, and most hair specialists recommend an upper limit of no more than 25 mg daily. If you are taking the upper limit (25 mg) of zinc for hair loss, you should do this for no more than two to three weeks. Since zinc will also reduce the amount of copper in your body, it is recommended that you include a small amount of copper supplement along with it. Sometimes zinc is also combined with selenium in a supplement because selenium has been shown to aid in restoring hair. Calcium can interfere with the absorption of zinc, so you should avoid taking a calcium supplement at the time you have taken a zinc supplement (the reverse is also true-zinc can interfere with calcium absorption). It is also best to avoid taking zinc with a meal that is high in fiber, because fiber will bind with minerals and interfere with their absorption. To improve absorption of zinc, take it with a meal that includes meat, shellfish (or any fish), or eggs. If you are taking antibiotics or blood pressure medication, speak to your doctor before taking a supplement as it can affect the absorption of some of these medications. If you are considering treating your hair problems with a zinc supplement, it is also important to look at what might be the cause of your hair issues to begin with. Alopecia (scarring alopecia due to physical damage to the area can cause permanent hair loss to the affected area; alopecia areata occurs when the immune system goes slightly haywire and starts attacking follicles, resulting in round bald patches on the scalp). It’s important to think about what might have brought on your hair problems before using supplements because in some cases, the hair loss is temporary anyway. If your hair loss is hereditary, for instance, you might have more difficulty in regrowing hair. But that doesn’t mean it can’t be done, and you may be a good candidate for zinc supplementation. If your hair shedding is caused by an event that created hormonal changes in your body (childbirth, pregnancy, menopause), the hair loss may eventually reverse itself without taking a large amount of supplements (although it surely wouldn’t hurt if you want to speed up the process). 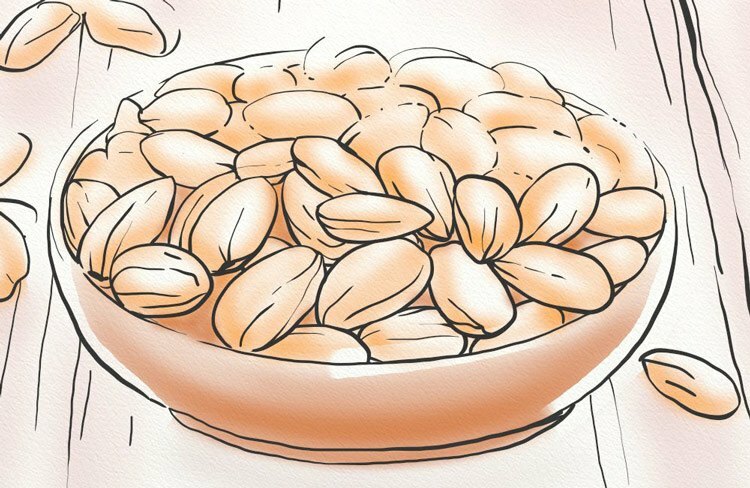 If you have undergone radiation treatment or chemotherapy, odds are that the hair will eventually grow back, but zinc may be a supplement you will want to add to your arsenal for regrowing your hair, since your immune system will be less than optimal after the treatment, and anything you can do to boost your immunity should help with your hair. If you are taking any sort of medication that can cause hair thinning (other than chemotherapy), you may want to speak to your doctor about alternatives, if they exist, because during the time you’re taking the medication, using supplements probably won’t restore your hair. How Do You Know if You Have a Zinc Deficiency? Although you might be able to self-diagnose by observing your symptoms, the only definite way to know is to have blood tests done to measure your zinc levels. Bear in mind, some of the symptoms of zinc deficiency are similar to symptoms of other problems (9). If you’re suffering from hair loss and you suspect that low zinc might be the problem, it’s probably a good idea to see your doctor and have blood tests done. That gives you the information you need to make decisions about supplementation. Your MD may be conservative in the amount of zinc he/she would prescribe, but there’s nothing wrong with starting out at a lower dosage, and then observing to see if it’s helping. If you don’t feel it’s making a difference, you can always start incrementally increasing the dosage over the course of a few weeks, although bear in mind at some point, zinc can start creating hair loss if you overdo it. Zinc seems to play a major role in hair thinning and regrowth, depending on the amount of zinc a person consumes. We know that too little zinc can lead to follicle miniaturization, while too much can also lead to hair loss. Balancing hormones seems to be key in correcting the problem. We know that zinc-rich foods can help, but supplementation might also be necessary depending on the type of alopecia and the extent of the damage to the hair follicles. If you suspect your hair loss is caused by a zinc deficiency, it’s ideal to have blood tests done to verify that. There are many others going through the same experience you are, and you can always reach out to them through forums or blogs to find out what has worked for them. Does hair loss caused by too much zinc reverse once stopping zinc supplements? Will the hair thicken to normal? Thanks.